Pros: An innovative and practical design, with a conveniently simple operation and beautifully minimalist form factor. Cons: The switch broke after a few months, but Feltmark repaired it for free. The adjustment mechanism could be better. 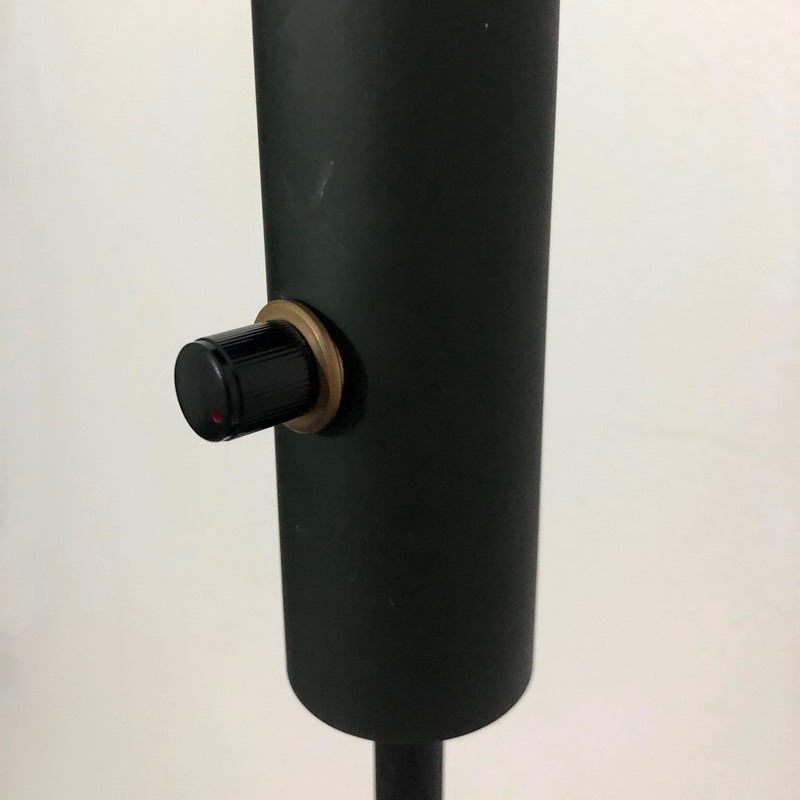 The double bead blasted finish is anodized in the "olive drab" color, which appears as black from a few feet away, but up close has a slightly green tinge. After using the lamp for a few months the dimmer suddenly stopped working (It would turn on to max power only). I sent the lamp back and in a few weeks received a new/repaired lamp that I have since used daily for the past 2 years without any problems. 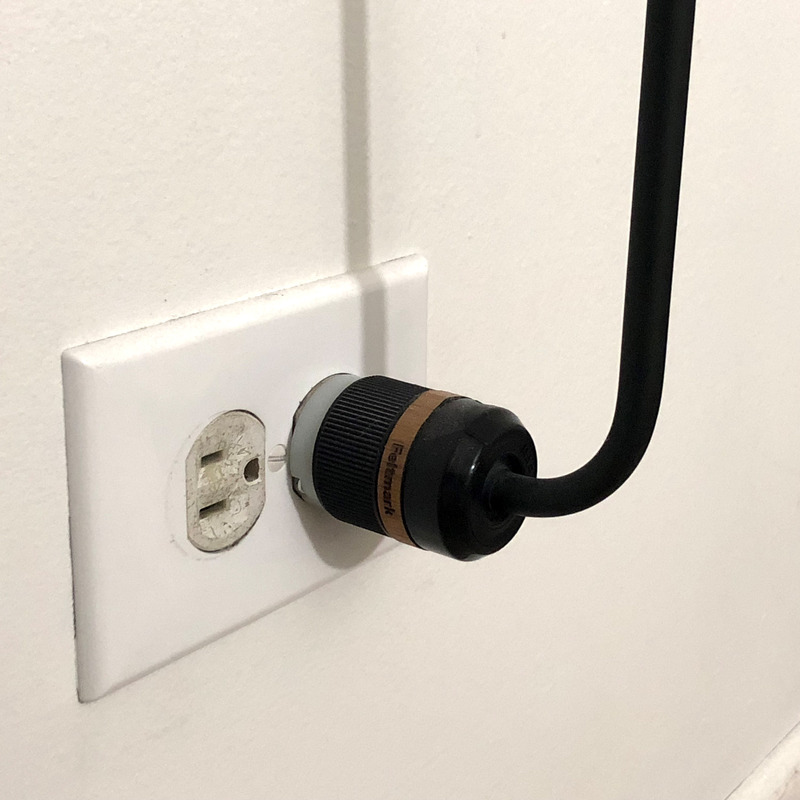 (Right) The lamp plugs into a standard US outlet, and can be adjusted side to side, allowing it to adapt to plugs that are either horizontal or vertical. There is no front to back adjustment. (Below) Not all plugs are perfectly level, and Feltmark knows this. 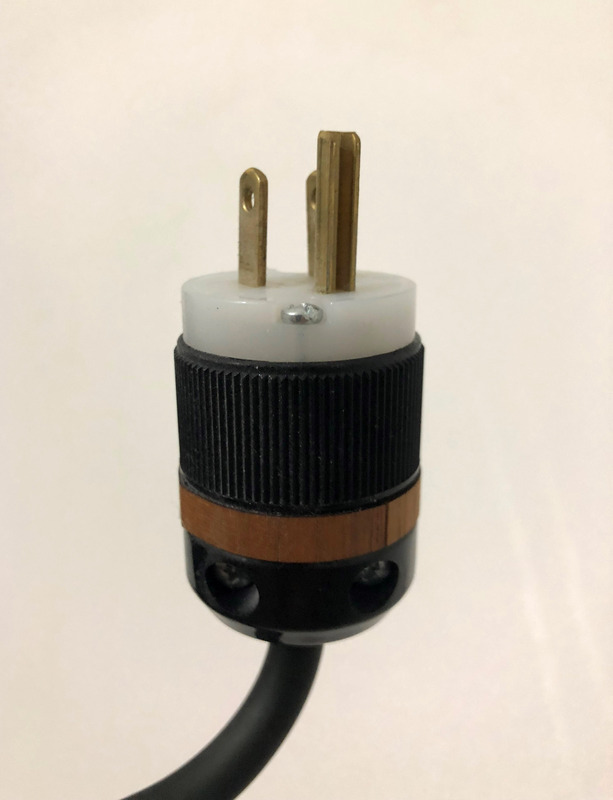 By loosening two phillips screws, the plug end rotates freely in either direction. Retighten the screws once you have adjusted the lamp to be straight up and down. 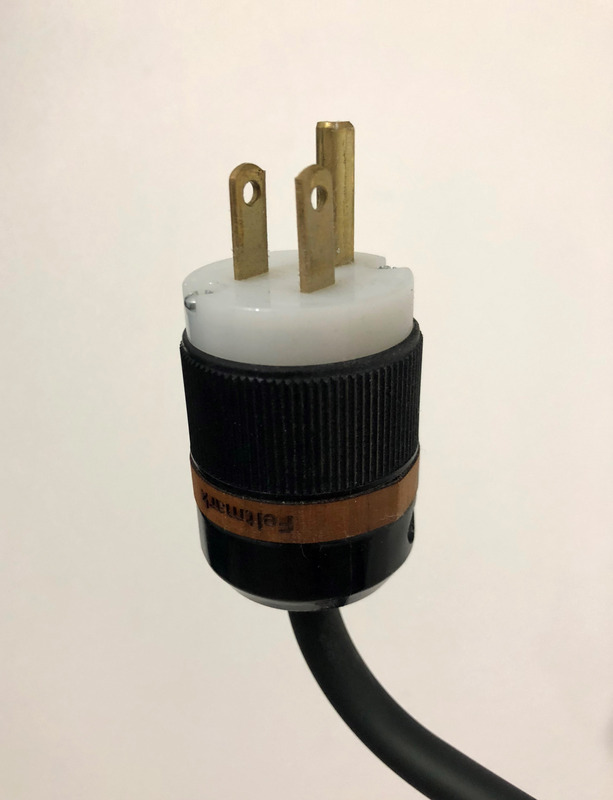 I noticed that after a few weeks, the weight of the lamp (at least, in my particular socket) will pull itself ever-so-slightly out of the plug. I simply push the plug back into the socket and the lamp is vertical again. The lamp uses a dimmable Satco 40 Watt 280 Lumens T10 Incandescent Brass Medium Base 120 Volt Light Bulb. It is rated for 1000 hours. 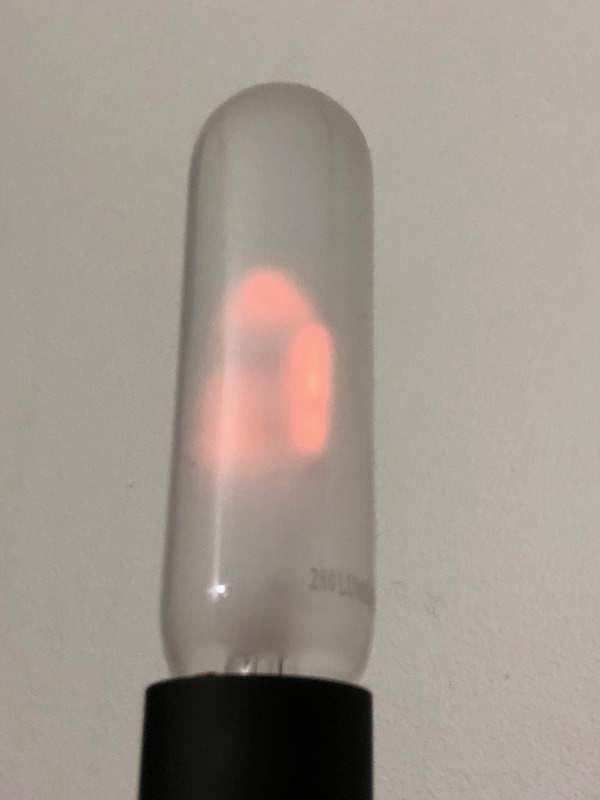 I use the lamp daily for a few hours in the evening (dimmed) and have had to replace the bulb on average every 8-12 months. Aside from the inconvenience of having to send it back for repairs a few months after the initial purchase, owning the WALD Hi-Lo lamp has been an enjoyable experience. The lamp is beautiful and practical. 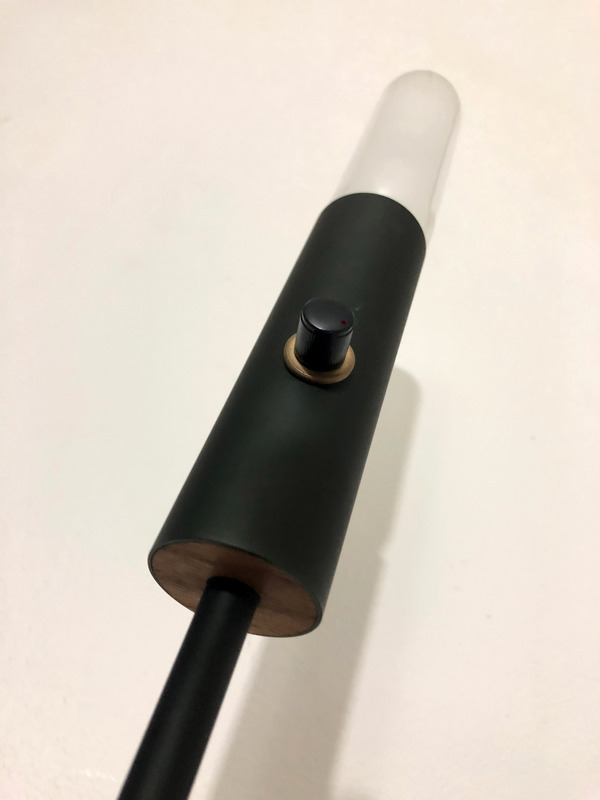 Some elements (such as the wood and brass accents) seem trendy and not timeless; I would have preferred if the whole lamp were the same material, and the extra money had been put into making a better adjustment mechanism for the plug. 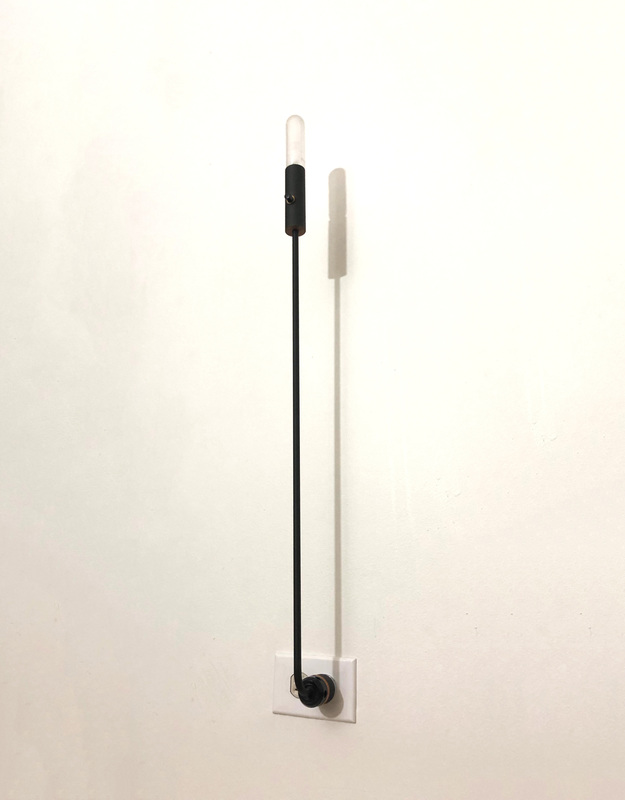 From afar however, the lamp does have a minimalist aesthetic that fits well into many environments, and the dimmable light adds versatility to the product.